A fun celebration was held today in honor of Jane Cluett Hansen’s birthday! Jane is the granddaughter of Albert and Caroline Ide Cluett. She has been volunteering here at RCHS every Friday for the last 28 years. 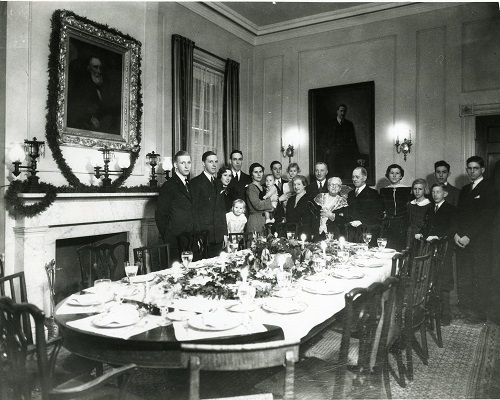 In this 1934 Christmas photo taken in the dining room, Jane is the little girl with the blond curly hair being held by her father, Girvin Cluett.